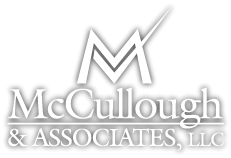 Jim is a financial advisor at McCullough and Associates, LLC as well as a CERTIFIED FINANCIAL PLANNER™ practitioner. Jim serves his clients by providing knowledge on matters including tax planning, portfolio management, family wealth planning, retirement income strategies, wealth preservation, and employee benefits. Jim is a Certified Public Accountant, a Registered Representative of Cetera Financial Specialists, LLC, an Investment Adviser Representative of Cetera Investment Advisers, LLC, and holds his Personal Financial Specialist designation from the American Institute of Certified Public Accountants. Jim also holds his life, accident, and health insurance license. Jim received his Bachelor's Degree in Accounting from Missouri State University. He has over 34 years of experience in the fields of accounting, finance, investment, and estate planning. He is a member of the Missouri Society of Certified Public Accountants, the American Institute of Certified Public Accountants, and the Financial Planning Association. 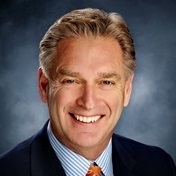 Jim currently serves as a board member for Cents of Pride. He is a former board member of the Lost & Found Grief Center, Springfield Business Development Corporation, and a former board member (past president) of Ozarks Food Harvest. Jim has earned the recognition of being a top advisor with Cetera Financial Specialists, LLC.